To place a new order, please contact us at 1-610-337-4110. We service all major airports with same-day service. Deinstall, inventory, and recover computer assets nationwide. 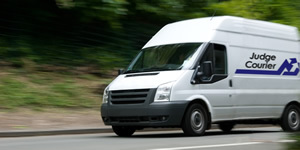 Pick-up within one hour and delivered immediately anywhere. Prescheduled pick-up and deliveries to and from your local post office. Small package over the counter service. Same-day major city to major city deliveries within the continental U.S.
C.O.D. services provided upon request. As part of our standard quality-focused operating procedures, we supply proof of delivery upon completion of every run. Drivers and messengers are available for hire on an hourly basis.